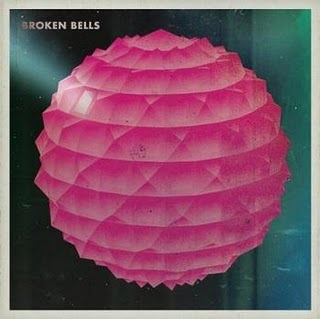 An album that will have you dancing and thinking at the same time is Broken Bells’ self-titled debut. It’s catchy hooks and thought-provoking lyrics can liven up any party. Broken Bells is the duo of hit-making producer Danger Mouse (Brian Burton) and Shins front man James Burton. Danger Mouse had recently been half of the band Gnarls Barkley while Mercer had received much acclaim for his band The Shins. The duo has been recording together for less than a year but has already received praise from Rolling Stone and Spin. The two had previously collaborated on “Insane Lullaby” which was released on 2009’s “Dark Night of the Soul.” The two began recording in Burton’s Los Angeles based studio later that year. The album is a collection of very different songs that span many different genres yet fit together seamlessly. The album themes shift from moody to funky but at no time does the album feel contrived or cliché. The album’s first single, “The High Road,” is a unique look at modern society. In it Mercer laments that “the high road is hard to find.” Mercer’s voice is similar to Pink Floyd’s Roger Waters and also has a psychedelic feel to it. On “The Ghost Inside” Mercer and Burton get funky, and give the listener an edgy and catchy gem complete with an infectious piano-driven intro. The song “October” also is a standout. The track opens with a soft acoustic guitar paired with a piano that give way to a dream-like song reminiscent of “Sgt. Pepper’s” era Beatles. To contact Christian Kosted, e-mail seniorwriter@occc.edu.